Home Paul Wong: Suk-Fong, How Are You? 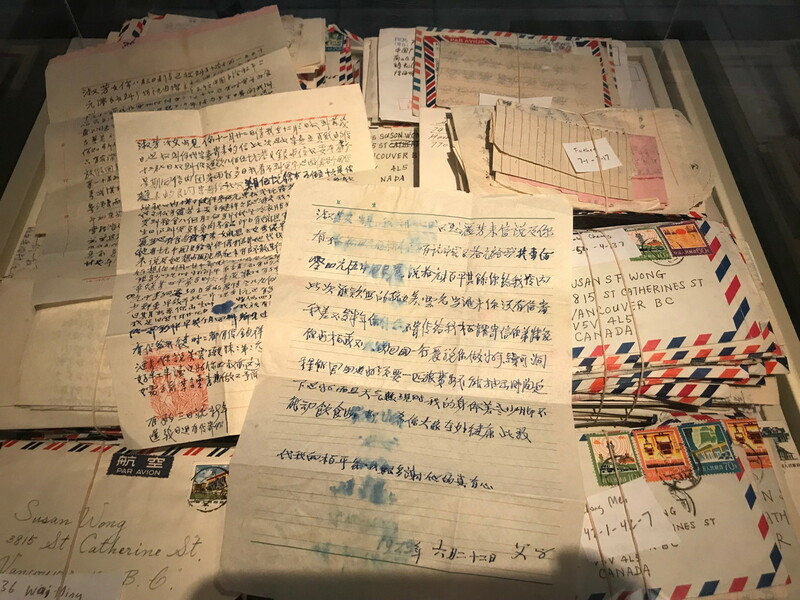 At the heart of Wong’s residency are 700 letters sent to his Vancouver-based, Chinese-born mother, Suk-Fong Wong, from 1946 until her passing in 2016. “Some with one letter,” Wong told the CBC on the first day of his residency (the same day then-mayor Gregor Robertson apologized on behalf of the city for historic discrimination against Chinese Canadians), “many with multiple letters from her father, her siblings, uncles and friends.” In one recently translated letter, Wong’s grandfather provides a poignant account of how he spent the money his widowed daughter sent to him when she was working to support Paul and his three siblings as a server at a Chinatown restaurant. While each letter reads like a chapter in a memoir, it is their arrangement, under Wong’s direction, that has them acting closer to scenes in a film script. Some provide the basis for performances, public screenings and collaborations; others serve as workshop materials. As display items, their stamps, careful handwriting and wrinkled envelopes become the uniforms of those who wrote them, foreshadowing the nature of their content, recalling the woman who received them, read them and saved them.